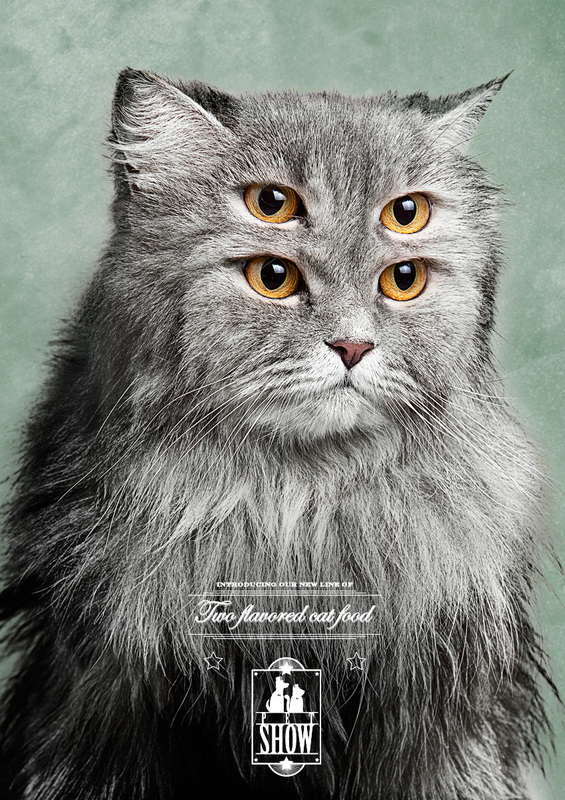 copyranter: The creepiest cat food ads ever. Social Media Explained (with donuts). Copywriters! You are needed now! 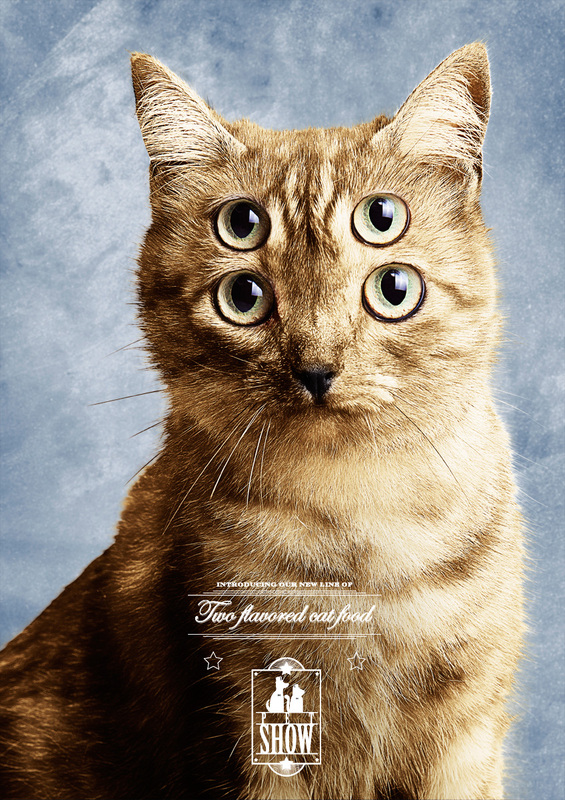 New Pet Show "two-flavored" cat food (apparently made in china) will cause your cat to start growing a second head out of the top of his/her first head. Via Brazil, breeding ground for the most senseless art direction. Ad agency: Hermandad. Just the latest instance of: Art Directors Gone Wild! I CAN HAZ SKULL SURGERY? The pictures are hard to look at. They make me feel like I'm drunk or dizzy and can't focus properly. should a 'magic eye' thing be happening there?